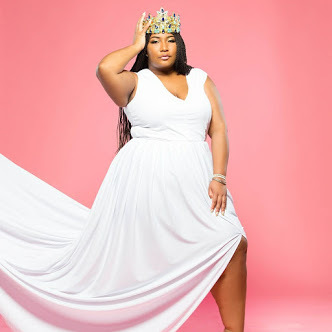 I am so excited to be bringing you a brand new series “Plus Size Shopping Straight Sizes.” While attending the “Southaven TangerStyle VIP Blogger Event” (here) this series was sparked. This series is all about letting go of the “norm” and trying out new stores. I know if can be challenging or tiring but I am here to tell you to go for it! Stay tuned! Can I just that I have never shopped at J. Crew before the VIP Tanger Style event. I pride myself on trying new stores so I really do not have a good reason for never trying them. Walking into the J. 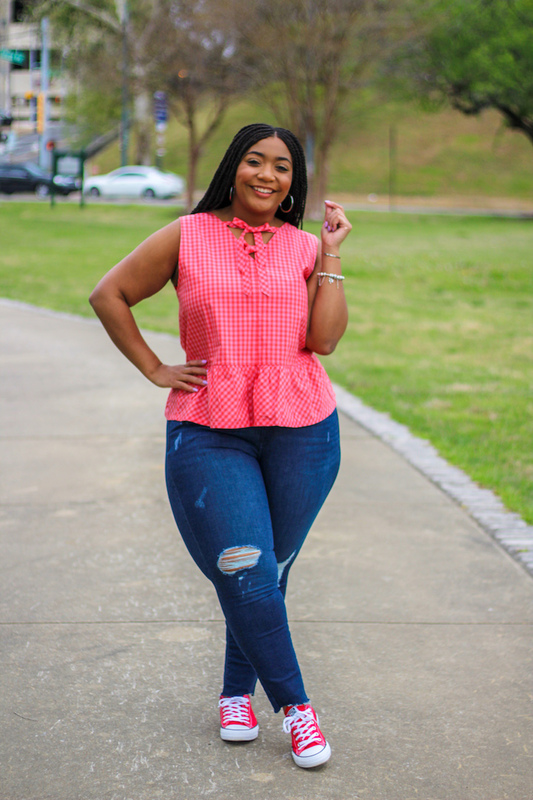 Crew Factory store I was hit with so many colors and I ran into this peplum top. I instantly feel in love with the gingham design and the hot pink and red color had me sold. 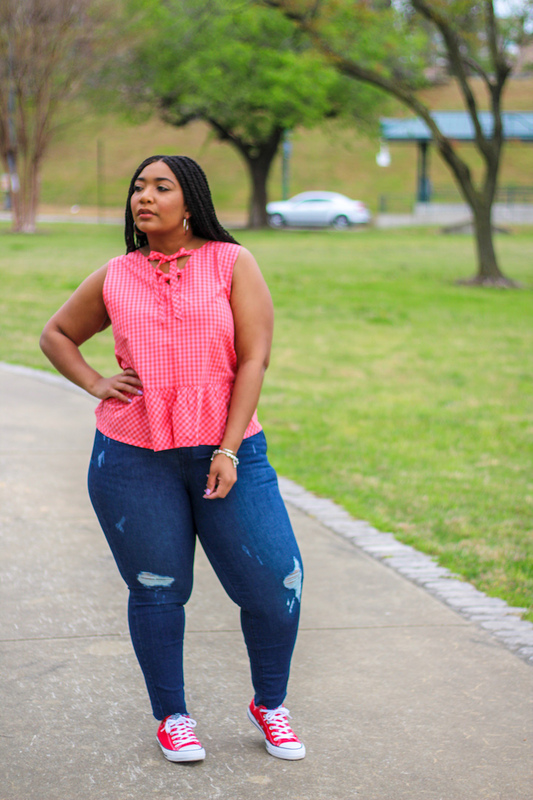 Styling this peplum top was so easy. But I did wear it backwards. The lace up detail felt right in the front. 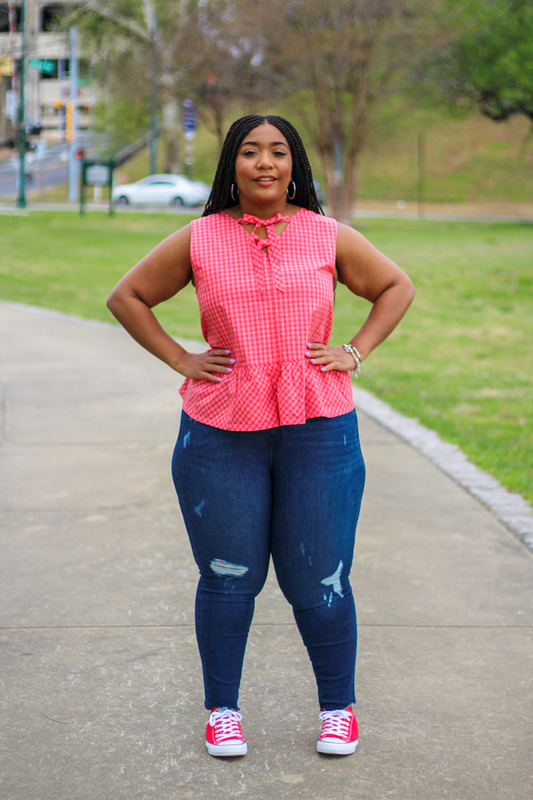 I decided to wear my favorite denim jeans that fit so good. Wearing my converse were a must with this outfit and I would totally wear this on a bowling date. 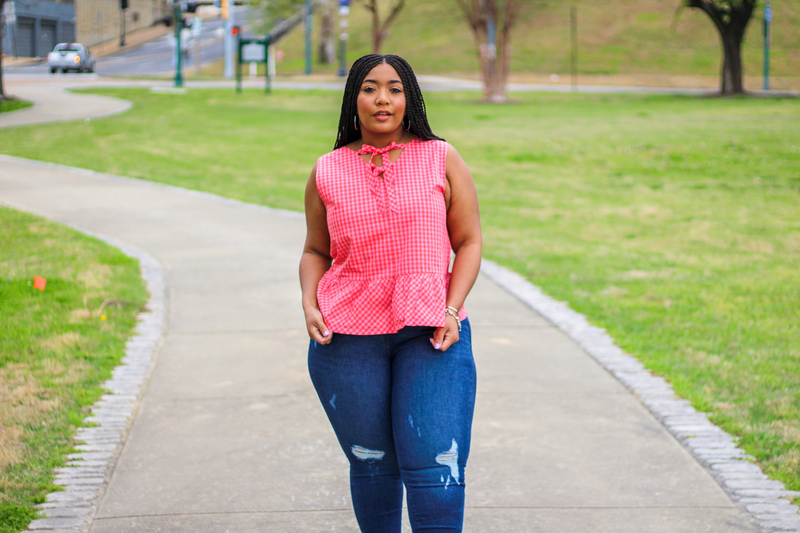 Style Notes: My J. 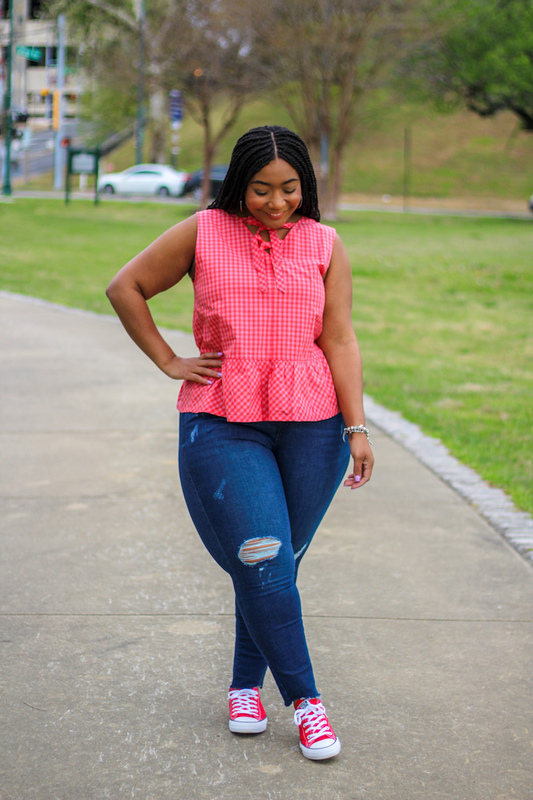 Crew peplum top is generously cut and I am wearing a size XL. My jeans have really great stretch in a 16. My converse are true to size in a women’s 9.5.